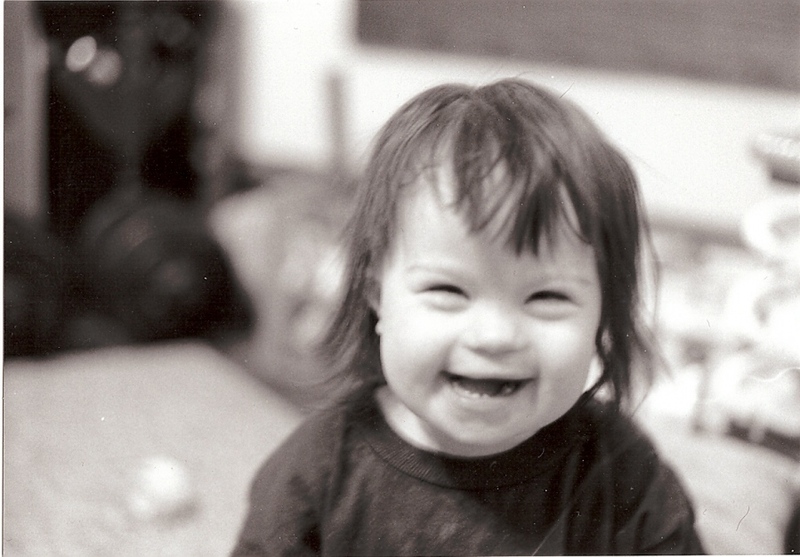 As many of you know, our youngest daughter, Rebecca, was born with Down syndrome. When we found out that we were (surprise!) expecting a fourth child, we made a conscious decision NOT to have certain prenatal tests done. I will freely admit that I am not nearly as noble as I would like to think that I am; I didn’t want to even entertain the idea of someone asking me if I wanted to make a “choice”. I’m not going to lie – when we got the news just a few hours after Rebecca was born, I was seriously reconsidering the decision that I had made about that testing back in the early weeks of the pregnancy. I was so afraid that I had consigned this sweet baby to a horrible life; there were so many unknowns, and I felt so guilty for having wanted another baby – and now here she was, and she wasn’t “perfect”. But a funny thing happened – Rebecca not only charmed her way into our hearts, she charmed her way into EVERYONE’s hearts. And in meeting other families who also had children with Down syndrome, we discovered that Rebecca wasn’t alone; all of these kids have an extra-special something. When Rebecca was 3 years old, I happened to be “in the right place at the right time” – the person who had been coordinating the New Parent Packets for our local DS chapter had decided that it was time to pass the job along to a new person. I was hesitant at first, but she showed me what to do, and over the next few months, I found that I really enjoyed my new “job” – as I always joked, “It doesn’t pay very much (it’s a volunteer position), but the hours are GREAT! And oh, my goodness – how much I LOVED having the opportunity to ease the fears of families who were just starting out on that journey that all of us who have “been there, done that” remember all too well. The internet made accessing information much easier for families since I first started doing this, but there was still nothing like talking to someone who understands what you are going through those first few scary months. I was able to tell families that they will laugh and smile more than they can possibly know. I was also able to tell them that one day in the not-too-distant future – no matter that it might seem impossible at that moment – they will look at people who don’t have a child with Down syndrome in their lives and find that they actually feel sorry for them. Every day is a new adventure…. Most of the calls and e-mails that I got were from families who received a DS diagnosis after their child was born. It was much easier to ease their fears, because they actually had a baby in their arms; for lack of a better term, they had a “known” entity. Every once in a while, however, I would get a call or an e-mail from a mom who had received the news while she was still pregnant. And after I had answered all of a family’s questions, I always offered to refer them to other families in our group who also received a prenatal DS diagnosis, as they could answer many questions that I simply couldn’t, having never “been there” myself. I spoke with a few families who were seriously considering giving their baby with DS up for adoption after birth, but they all fell in love so hard along the way that it would have taken an act of God to pry that baby out of their arms after they held him/her for the first time. 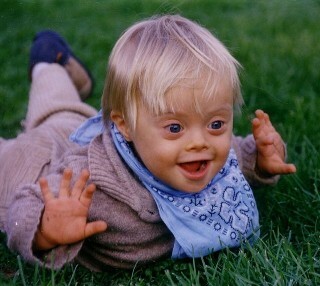 Most people don’t know that there is a waiting list to adopt children with Down syndrome. Prenatal testing is a double-edged sword; no one ever thinks they will be the one who gets bad news. And the very sad reality is that the only time I ever got a call from any mom who received a prenatal diagnosis was AFTER a “choice” had been made; in the 8 years that I worked with families, I can’t remember ever talking to anyone who was still trying to come to a decision about their pregnancy. Many DS support groups – including ours – do their best to get the word out to OB/GYNs and perinatologists in their area to let them know what resources are available to families who receive a prenatal DS diagnosis, but most of them find that the information is rarely, if ever, passed along. In talking with the families who made the choice to continue a DS pregnancy, the one thing I kept hearing over and over again was how often the issue of terminating the pregnancy was mentioned at the time that the test results were being delivered – by the time that all of the tests can be run, most pregnancies are more than 15-16 weeks along. Some families even reported that it was just ASSUMED that they were going to choose to terminate; they were simply asked when would be the most convenient time for them to go and “have it done”. When they said that they weren’t going to end the pregnancy, the reaction from the staff told them all they needed to know about how rarely that “choice” is made. I have to admit – when I started doing this, I was blissfully unaware that this was such a common occurrence. But as time went on – and experiences like this were recounted over and over again in DS chat rooms and websites all over the Internet – I started paying more attention. And then one day, I saw the horrifying statistics: of all of the babies who are prenatally diagnosed with Down syndrome, it is currently estimated that 90% of them are aborted. The word “decimation” dates back to the Roman army’s technique of punishing deserters, traitors, or mutineers where 1 of every 10 was randomly chosen for execution. What do you call it when 9 out of every 10 innocents – whose only “crime” is an extra chromosome – are calmly and deliberately scheduled for execution? Is there even a word for a loss of that magnitude? 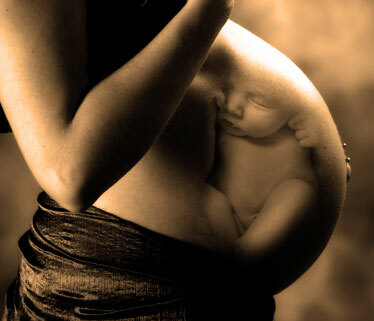 [Update 11/13/11]: Had to link this wonderful post from “The Gormogons” – one of my favorite blogs – about the accuracy of those prenatal tests, and what they have ended up being used for in the years since they became available…..
[Update 02/09/12]: Had to include this link to one woman’s experience upon finding out that her unborn baby had Down syndrome; what a lucky baby! [Update 03/13/12]: Thanks to Jen Green and Steve Deace for contacting me and including this post on their radio programs’ blog – I am truly honored! 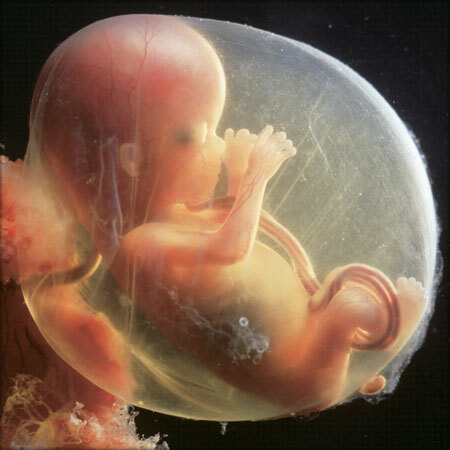 This entry was posted in Annual Posts, Down syndrome, Family, Occupy Wall Street, Think about it, Uncategorized and tagged Abortion, Down syndrome, Roe v. Wade. Bookmark the permalink.